This topic has 72 replies, 54 voices, and was last updated 5 years ago by Sidney. Im gonna have to try some of the suggestions on here though. Mayonnaise underneath and chilli flakes on top. The mayo cooks and turns yummy. Whats wrong with them? Just look at the beady-eyed little bastards! Fresh bread toasted, spread Marmite onto the toast, spread with a thick layer of hummus, add the cheese (thick cheddar), grill till done. I know taste is in the mouth of the beholder, but by christ that sounds rank. Doesnt adding butter make it go all soggy and greasy? Garnish – where’s the garnish, you know sprig of parsley, basil leaf, slice of tomato, that kind of thing? Only 1 suggestion of bacon? 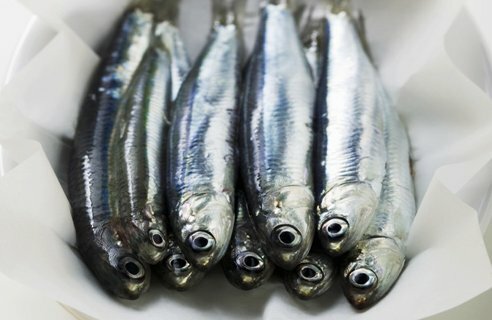 Hang your poncey anchovy munching heads in shame! Personal favourite is the addition of sliced pickled onions (the silver ones) which go really well with cheddar. Screw you haters 😆 I lure anchovies and I am proud to say so. Lightly toast the bread, put the sliced cheese on then add plenty of black pepper from a grinder, and plenty of hot chilli from a grinder, (the Morrison ones are particularly good), then stick back under the grill. Much yumminess, with minimum time wasted in preparation. 4 slices of ‘just done’ toast were ravished upon returning home from work. Red pesto – The tastiest but could’ve done with a bit more pesto. Marmite – Avoid, didn’t like it. Green pesto – Tasty but slightly over-powering. Sun-dried tomatoes seem to sing better with cheese. Tomato puree with ham – Second best, again could’ve done with a bit more puree. Just fire some beans on it – job done. A sprinkle of cayenne pepper, and a sprinkle of paprika, before toasting. Yes all about the red pepper – love a bit of smoked paprika . Has no one said mustard? You anchovy-interfering savages. Grate cheese, mix with mustard and Worcester sauce, season with salt and pepper, stick on toast and grill. Toast buttered with sliced banana then good strong cheddar melted over the top. Its the oddest bloody thing but it works. Man alive this is getting daft.There is only one acceptable answer,it’s no coincidence that when God invented the pig that it tastes of bacon. Fancy condiments,sauces and fish based products are a no no. Jalapenos or tabasco or both. I have an unhealthy chilli fixation today. Anchovies yum. Not ob cheese on toast though. In pizza and fresh fish dishes. Tomato paste base, with cheese, pepperoni, and herb topping on thick bread. Salsa verde or some plum chutney. Otherwise a layer of tuna underneath make moi wet. Around the mouth. I’ve just made my own Worcestershire sauce, from scratch. I’ll use my OH as a toast-under-cheese guinea pig and report back. IT HAS TO BE TOASTED BOTH SIDES! Mushrooms are also good under the cheese. The topic ‘Pimp my cheese on toast’ is closed to new replies.